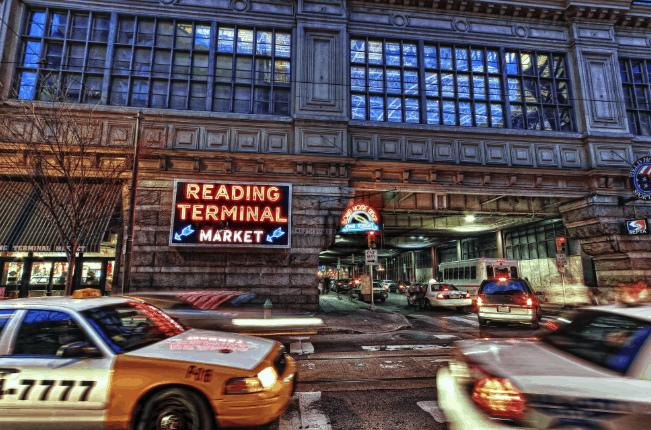 Philadelphia is one of the coolest cities on the East coast to visit. Will Smith as the Fresh Prince of Bel Air sang about South Philly, which itself definitely has some good bars and restaurants. The city as a whole has something for everyone from historical sites, abandoned prisons, and massive arcades. This is how you should spend your 48 hours there. If you are a bit on the peckish side or even if you’re not head over to Reading Street Terminal. Once you’re inside it will be impossible not to grab a quick bite. There are Beiler’s Donuts and Salads which are amazing. Or if you want a more traditional breakfast head over to Dutch Eating Place which does a traditional breakfast and a to die for apple dumpling with ice cream. 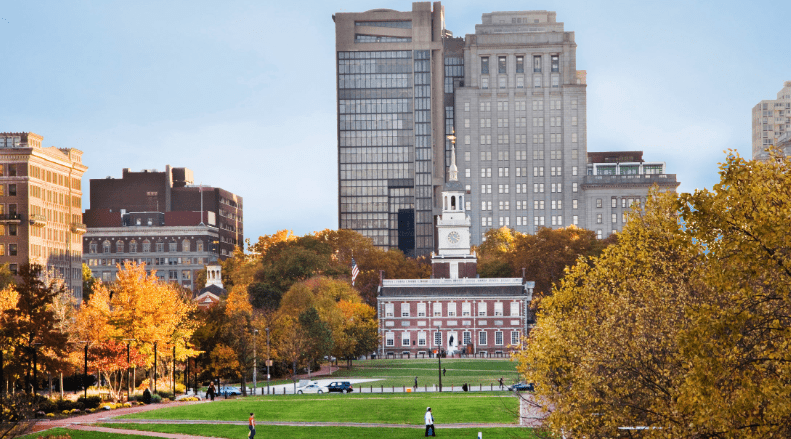 Head over to the National Independence Liberty Park where you can see the Liberty Bell, the Independence Visitor Center, the United States Mint, and the National Constitution Center. They are all within walking distance of each other and it is a great way to walk through history. There is also the occasional reenactment on the lawns. 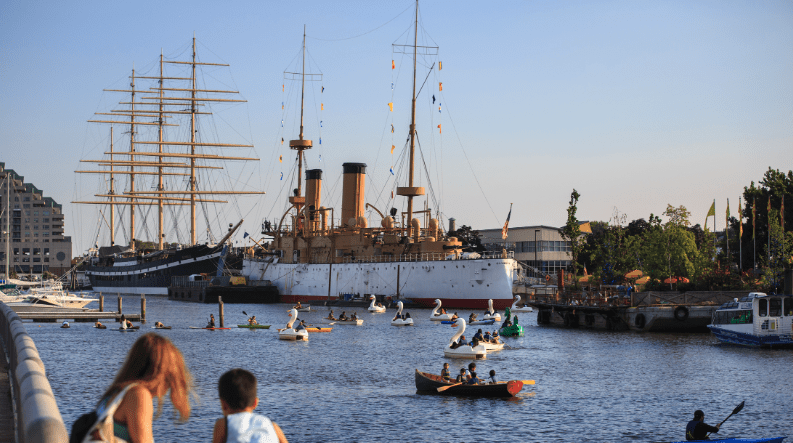 As late afternoon edging into evening comes, you may want to head over to Penn’s Landing. You can grab some funnel cakes or burgers from one of the food trucks and lounge around in an old fishing net strung over the water. Watch the sunset, and then head out on the town or back to your hotel. The Apple Hostels are a good budget option, or if you want to splurge then head to Rittenhouse 1715. Get up early and go over to Race St. Pier for some free early morning yoga or simply watch the sunrise over the river, you even have a view of New Jersey on the other side. Since you are in Philly, a trip would not be complete without a Philly Cheesesteak and there is really only one place in town you have to go for this – Jim’s On South Street. You will have a lot of options to choose from, but if you haven’t had one of these, go with the classic. You won’t be disappointed. After a quick bite you should check out the Philadelphia Museum of Art, you can pretend to be Rocky and run up and down the stairs. Or if you want something a little bit quirkier check out the Mütter Museum which features many special medical marvels. But this is not for the faint of heart if you are squeamish. Since you are now in the South Philly area, you should hit up Tattooed Mom on South Street. This bar features bowls of fake tattoos for you to stick on, and tasty Mexican food. Don’t forget to have a city-wide in true local fashion. You’ll have to ask to find out what that is! If you are looking for a less hipster experience than that found on South Street, then another excellent place to view the Philly skyline is at the Assembly Rooftop Lounge, but you will want to dress for the occasion.